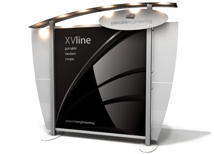 Pascale XV line displays are the newest addition to the Pascale line up. 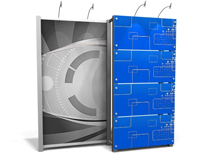 They offer modern, European styling in multiple configurations at very affordable prices. 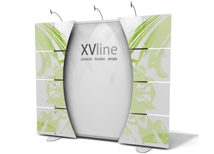 XV line displays can be easily customized to add more functionality to the booth. 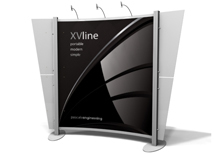 All XV displays are over 95% US made and are know for their durability and high quality construction. 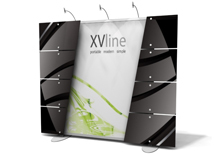 Every XV kit is priced to include shipping case(s) and printed graphics on the backwall and header. 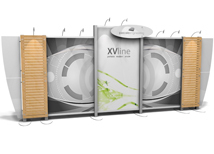 XV line booths can be manufactured in 4-5 business days making them great for any company that wants the look of custom booth, without high price tag and long lead times! 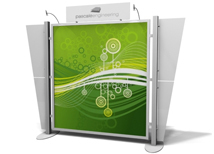 The Pascale XV line offers the most versatile styling of any custom modular display. 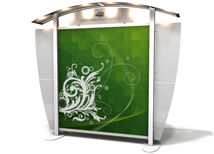 Lights, counters, standoff graphics, slat wall boards, canopies, and headers can be used to create a one-of-a-kind booth. 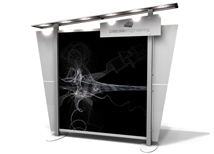 We can customize any of our models to create a unique, yet functional trade show booth. 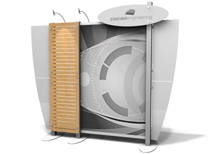 All Pascale systems are Made in the USA so fast turnaround is possible for standard and custom booth configurations!